When I was a little girl my grandma would make the best Johnny cake in the world, and my mom would make a pretty darn good cornbread too. Is there a difference? If I were to say yes, it would only be based on the fact that grandma used more sugar in her recipe than my mom did. This recipe tastes exactly how I remember my grandma’s tasted. I’d say it’s perfect and needs no adjustments. It’s possible that it is actually her recipe because I found it in my recipe box (in my handwriting) with no reference as to where it came from. Preheat the oven to 325 degrees, and grease an 8”x8” baking pan. Mix all of the ingredients together in a good sized bowl. Pour the batter into the prepared pan and bake for about 20 – 25 minutes, or until a toothpick comes out clean when inserted into the center. So, is there a difference? If so, do you know what it is? I’d love to hear your thoughts on this one. This is almost the exact same Johnny cake recipe my grandma and great grandma etc passed down to me. Same ingredients, slightly different amounts of each. Growing up my grandma always made it as a side for homemade mac and cheese. Glad to finally find a similar Johnny cake recipe, so many variations out there. I just love this recipe and make it often. Mac and cheese plus cornbread – win, win! 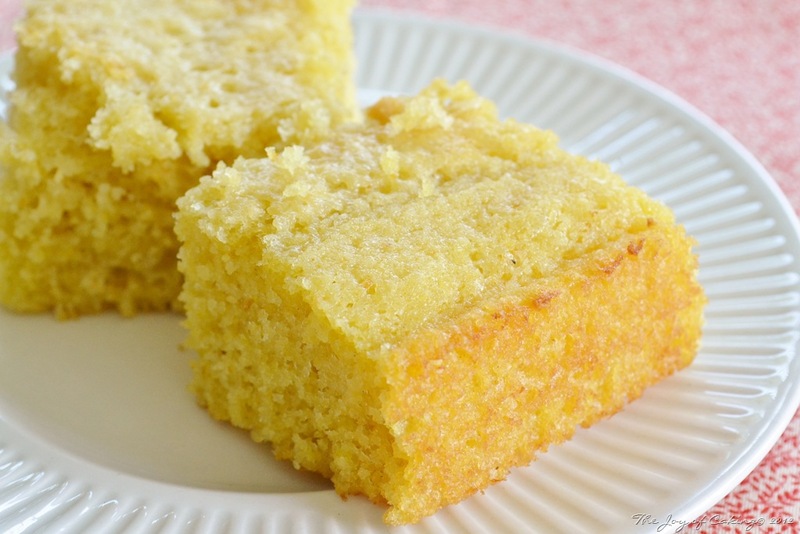 Hi…recently vacationed in Maryland and had some cornbread or their Johnny cake and had to find a recipe. This sounds like it, and can’t wait to try, but silly question….actual sour milk? Or am I missing something? Thank…. Sour milk can be used in baking by putting 1 tbsp of lemon juice or vinegar in a cup of milk. I use it in place of buttermilk a lot. I am from the Virgin Islands and a johnny cake is fry bread. Minus couple of the ingredients used in this lovely looking pic. It is a small circle fry bread that we slice open and fill with cheese. This looks absolutely delicious though! I am about to give it a try. This looks delicious. 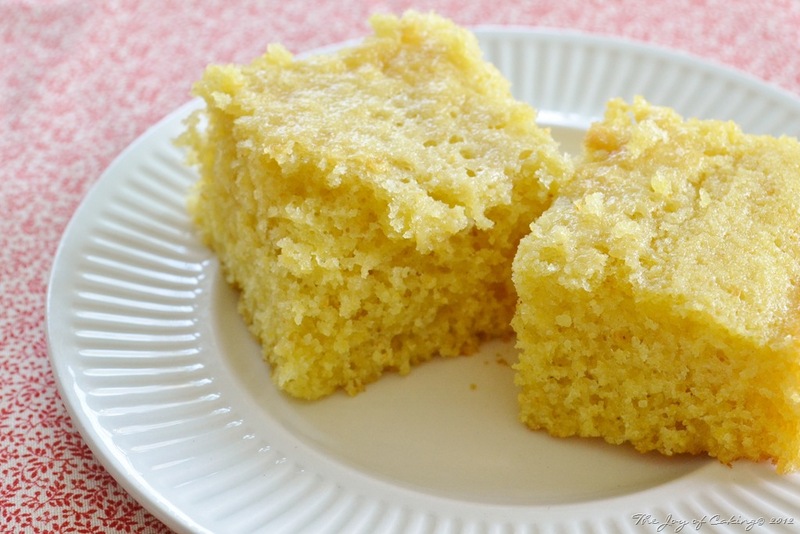 When I’d eaten at a local bbq restaurant that’s no longer in business, they served a delicious corn bread that was quite sweet and tender and it was delicious – probably more like your johnny cake. I’ll have to make this recipe. love it. you hooked me with the title. most people do not know what a johnny cake is. nice job. This looks so delish! I’ll make some to eat with our ham hocks ‘n beans this week! I grew up in Maine and we had johnny cake and then I went to college in Knoxville at UT and cornbread was totally different. No sugar, eaten with pinto beans and while different, it was delicious. The first time I watched my friend put her cast iron skillet in the oven at 500F and then pour the cornbread into the hot pan I was hooked. Isn’t Johnny cake from the expression ‘journey cake’ because the pioneers could take it in their pockets (probably wrapped in red bandannas?!) on long journeys? Yours looks really tender! Mine usually turns out like lead!